Michelle represents clients regarding all aspects of domestic and international trademark, trade dress, copyright, unfair competition and domain name issues. Her experience includes trademark litigation in U.S. federal court and opposition and cancellation proceedings before the U.S. Trademark Trial and Appeal Board (TTAB). She also counsels clients on all aspects of trademark portfolio management and enforcement. 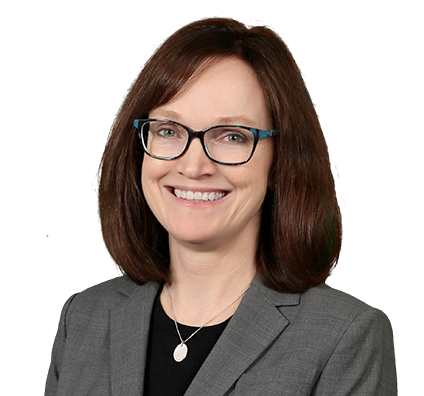 She has made numerous appearances before the TTAB of the U.S. Patent and Trademark Office and been involved in numerous international trademark litigation and opposition proceedings. She also has experience in representing clients in Uniform Domain-Name Dispute-Resolution Policy complaints in the U.S. and around the world. Michelle was an assistant attorney general in the Missouri Attorney General’s Office from 1992-1994.